How do I limit percentage of product price that can be paid with reward points? With the Points and Cash add-on, you can get the most out of your points-based loyalty campaign by allowing your customers to enjoy the freedom of mixing cash and points—from a single product to a whole shopping cart. You can give your customers reward points for registration and leaving product reviews. Points for registration are granted automatically right after registration is complete. Points for reviews are granted once the administrator approves the review. Customers can see the amount of points they have in their profile. The add-on lets you disable using reward points for products and carts with applied promotions and set the percentage of the product price that can be paid with reward points. Apply special earning point rule to some products and shopping carts. Give reward points for registration and reviews. Set a percentage of the product price that can be paid with reward points. Set a percentage of the price for a particular product in the store. Set a percentage of the order total, including taxes and shipping fee. Disable points for products with a discount. 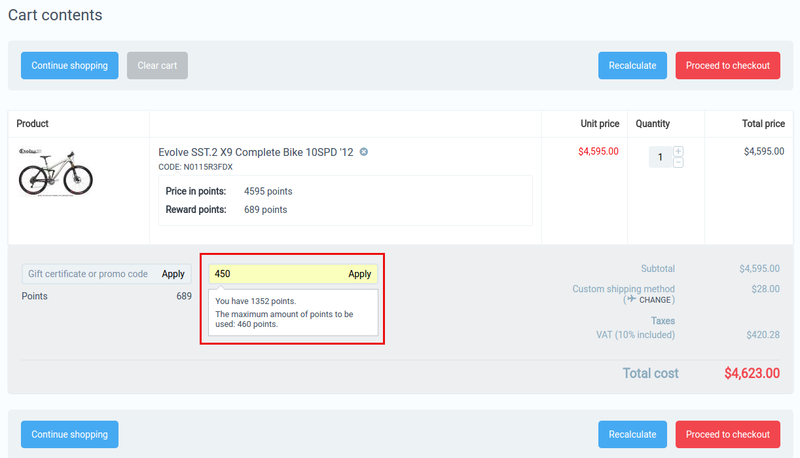 Disable using reward points for the cart with applied promotions. Disable using reward points for the products with applied promotions. Extend the functionality of the default Reward points add-on. Check out the Points and Cash add-on in our demo store. The customer can see the available amount of reward points in their profile. At checkout, the customer can see the maximum amount of points to be used for this order. Once the reward points are applied, the customer will see the discount amount for this order. Install the Points and Cash add-on on the add-ons list page (Add-ons → Manage add-ons). Click the + button in the top right corner, select an archive and click Upload & install. You can now find the installed add-on in the list of installed add-ons, just make sure it is set to Active. Make sure the Reward points add-on is set to Active in your store. Otherwise the Points and Cash add-on might not perform correctly. The Comments and reviews add-on must be active to let you grant points for registration and reviews. If your CS-Cart or Multivendor store runs on version lower than 4.3.1, you’ll need to insert a hook to make the add-on perform correctly. For more details, refer to Adding a hook. Here are available settings of the Points and Cash add-on. 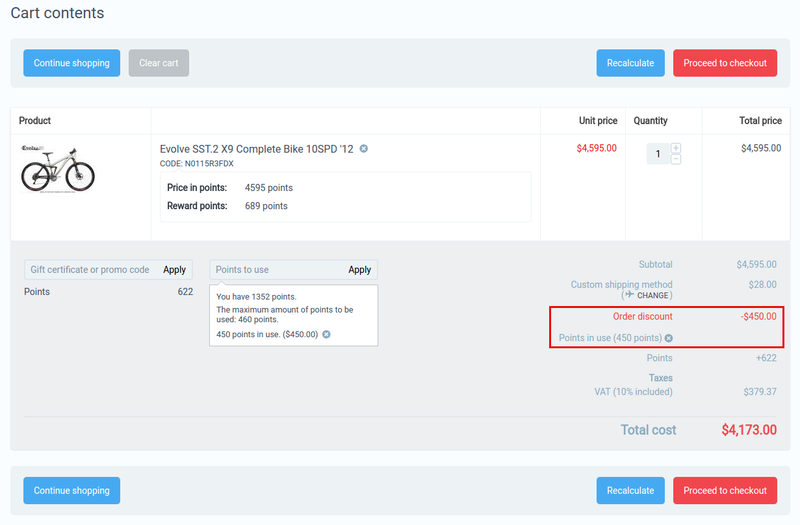 Disable cart points—If enabled, customers will not be able to pay for products in the order with reward points in case a cart promotion is applied. Disable product points—If enabled, customers will not be able to pay for products with applied promotions with reward points. Percentage, %—Percentage of the product price/ order total that can be paid with reward points. Points for registration—Determine how many reward points users will get for registration. Set the setting to 0 if you do not want to use this setting. Points for review—Determine how many reward points users will get for leaving a product review after it gets the admin approval. Set the setting to 0 if you do not want to use this setting. Allow to pay for entire order with points—If enabled, customers can pay with points not only for products but for the entire order, including shipping charges, taxes, etc. Points Exchange Rate can be set in the appropriate setting of the Reward Points add-on. The store admin can define percentage of the product price that can be paid with reward points for a particular product or multiple products. Go to Products > Products and open the editing page of the required product. In the Points and Cash field, enter the necessary value. If you specify a value for the percentage limitation for a particular product, it will override the global value defined in the add-on settings. Select the necessary products and under the gear button select Edit selected. Click Unselect all*, then select **Percentage, % box. Click Modify selected. Add values and click Save. If you specify values for the percentage limitation for particular products, the global value defined in the add-on settings will be overridden. The add-on enables you to give customers reward points for leaving comments and reviews for products. We advise you to re-check settings of the Comments and reviews add-on. 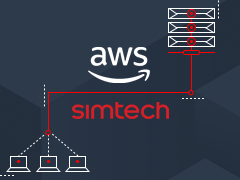 Check whether the administrator needs to approve posts submitted by customers. If approval required, customers will get reward points for the submitted review only after the administrator approves it. If no approval needed, reward points will be given automatically. If your CS-Cart or Multivendor store runs on version lower than 4.3.1, you’ll need to insert a hook to make the add-on perform correctly. Open the app/addons/reward_points/func.php file of your CS-Cart installation.